I'm often asked by clients on The Program if they need to take supplements. The answer is always "Probably. But it depends." There are so many factors that come into play when recommending a supplement protocol. Diet, goals, age, gender, genetics are all but a few examples. This guide to supplements will answer that question lingering question of "Do I need to take supplements and if so, what should I take?" once and for all! Note: If you're pressed for time, CLICK HERE to download my "FREE Optimal Health Supplement Plan" And vegans and vegetarians, I have a specifically created one for you HERE. Probably. Don't believe me? Well a 2015 study claims that over 95% of the world’s population has health problems (1). With over a third having more than five ailments. More than 95% of the world's population. That means only 1 in 20 of us are healthy. And that one individual isn't necessarily in the top of his or her game. They just don't have any current health conditions. The purpose of this blog is to help people thrive, not simply survive. We don't do average, especially when average in this study was having poor teeth, back pain, iron disorders & depression! Remember, just because something is normal, doesn't mean it's right! Surely those of us fortunate to be living in first world countries are not malnourished?! Modern life is sedentary. Inactivity may reduce appetite and therefore reduce nutrient intake (plus factor in the amount of nutrient poor 'empty calories' foods like flour and sugar we eat today). 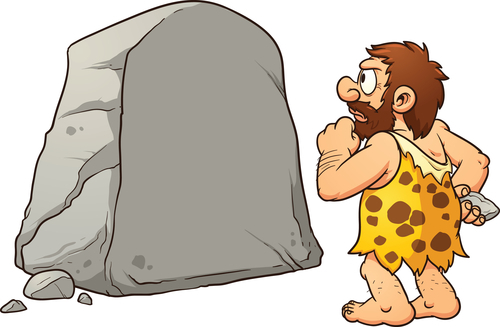 Modern foods are nutrient poor compared to Paleolithic foods. Modern agriculture has selectively chosen foods that grow better and bigger, profits are the driving factor, not nutrient quality. Also the foods we eat in excess today (i.e. grains & sugar) are very different to our ancestors (i.e. whole animal carcasses, organ meats). Water treatment and agricultural food production diminish the mineral content reaching consumers. Tap water is lacking minerals, not only does this impact our mineral absorption but also the crops that are fed this water. Modern cooking methods often leave nutrients behind. Traditional cuisines made soups, broths and used the liquids/oils/drippings left behind. Not to mention the frequent use of bones for flavour. Today we discard this stuff and hardly ever cook with bones. Modern foods contain anti-nutrients that lock up nutrients as well as toxins that impair intestinal absorption of micro-nutrients. Anti-nutrients such as phytic acid bind to minerals and prevent absorption. Toxins found in grains and legumes impair digestion. Traditionally, foods that contained these things were soaked, fermented or sprouted to remove or reduce toxins and anti-nutrients. This is no longer done in modern society. Even on their low-toxin, high nutrient diets, Paleolithic humans may have been malnourished. The problem with being malnourished is that it's a slow, long lasting, drawn out process. You won't immediately know if you are deficient in Vitamin D for example. The symptoms may not show for years, and unfortunately by that stage the damage has been done. In fact, malnourishment may even be a transgenerational issues. Studies have shown that mothers who are malnourished influence their children's health, which in turn impact their children's health (as was the case in the famous Pottengers Cat's experiment). Takeaway: Malnourishment is not just limited to 3rd world countries. 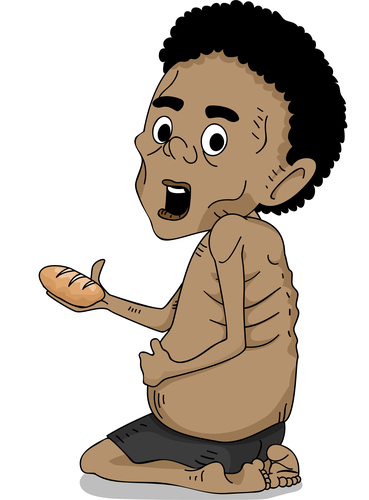 Unfortunately the effects of malnourishment may not be seen for decades. Do We Need To Supplement? Why Can't We Just Eat Quality Food? I'm a big fan of eating real food. The core diet of The Program is to include a wide variety of vegetables, muscle meats, organ meats, shellfish, fish, nuts, fermented foods, eggs and dairy. I recently wrote an article about probiotics and the harmful effects of processed probiotic drinks. The conclusion of that article - don't use processed drinks for your probiotics intake. Instead consume them in the form of fermented foods. If you can't eat these foods, then look at supplementing. So yes, I am all for eating quality food over supplementation. In fact studies also confirm this as an effective way to increase our nutrient intake. A study in the American Journal of Clinical Nutrition (2) found that consuming nutrients from food can be more beneficial than relying upon supplements. The takeaway here - Aim to eat your nutrients rather than rely on supplementation. "In large proportions of the population, micronutrient sufficiency is currently not being achieved through food solutions for several essential vitamins and minerals. Use of age- and gender-specific MVMM (multivitamin/multimineral) supplements may serve as a practical means to increase the micronutrient status in subpopulations of Americans while not increasing intakes above the Upper Limit"
But that's not all. A paper in the Archives of Internal Medicine found that 77% of american adults are deficient in Vitamin D (4). Vitamin D deficiency contributes to cancer, cardiovascular disease, diabetes, infectious disease, dementia & MS. There are plenty of other studies showing nutrient deficiency is not only common place, but widespread around the world. I highly recommend reading the Micronutrient Miracle & The Perfect Health Diet books for more on this topic. But Cavemen Didn't Take Supplements? Despite showing people these studies, I often hear "I eat just like my great grandma would have". Or, "Our ancestors didn't take supplements". In response I'll ask how your life and diet compares to your ancestors? Hmmm, how many pebbles worth of 5-methyltetrahydrofolate do I need today? Today we live amongst environmental toxins and pollutants that wouldn't have been around 100, or even 20 years ago. Lets take Non-Native Electromagnetic Fields (nnEMF) for example. Cell phone towers and wifi routers are only two sources of harmful non-native EMF. Our great-grandparents did not live with this technology. There is a reason why cell phone manufacturers warn users to be careful when it comes to using your phone against your head. The research is clear, EMF exposure increases Reactive Oxygen Species in our cells. Technologies such as EMF are still very new but it is clear that they potentially are harming us. Our ancestors, who weren't popping supplements, didn't live with these harmful stressors in their life. But maybe living with these technologies is one reason for supplementation. 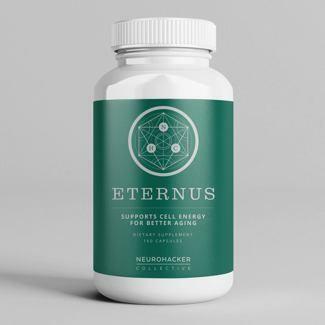 Studies have shown that various supplements are effective at minimising and protecting us against such things as EMF. A study in the Toxicology and Industrial Health (11) found that the oxidative damage from 900MHz mobile phone radio frequency could be reduced with the supplementation of Vitamin C & E.
Curcumin has also being shown to be effective for increasing the inflammatory causing effects of EMF (12). Even if you were eating a near perfect diet, the quality of food that we eat is far less nutritious to that of our ancestors. A Canadian study found that many fruits and vegetables grown today are significantly lower in nutrient value compared to 50 years ago (14). Today's crops are often grown to be sweeter with a higher sugar content. Taste and profits is the name of the game. Not nutrient density. Widespread use of pesticides is also impacting the nutrient content of the food we eat. A study in the Journal of Agriculture and Food Chemistry shows that crops exposed to chemicals had lower polyphenol counts (antioxidants) than organically grown crops (22). It's not just how we grow our food, it's also the changes in the quality of soil where our food grows. This Chinese study showed that "about 13.86% of grain production was affected due to the heavy metal pollution in farmland soil" (13). Meaning the food we eat may not only be less nutritious than yesteryear, but potentially have more harmful toxins present. Finally, the time from picking to eating produce has changed dramatically. How many people actually pick their vegetables from their own garden the day they eat them? Most vegetables we buy from the store were picked days prior to purchase, leading to less nutrient dense foods by the time we eat them. Not only that, but the the way vegetables are packaged can have an impact on nutrient quality (15). Takeaway: A Broccoli floret consumed today is most likely a lot less nutritious than a broccoli being consumed in 1915. What about those that follow these popular 'health diets'. Surely the millions of people following these diets are eating enough nutrients right? These findings are significant and indicate that an individual following a popular diet plan as suggested, with food alone, has a high likelihood of becoming micronutrient deficient; a state shown to be scientifically linked to an increased risk for many dangerous and debilitating health conditions and diseases. As I mentioned earlier, the RDA totals aren't put together for those seeking to break records or live a high performance life. They are totals for average Joe & Jane. Takeaway - Just because a lot of people are doing something doesn't mean its good for you! I should also add - even if you're losing weight, it doesn't necessarily mean you're in optimal health. How Do I Know If I'm Nutrient Deficient? So before you rush out to your local supplement store in a panic, let's take a look at how you can find out what you may actually need. The best way to know what supplements you should (and shouldn't) take is by testing. 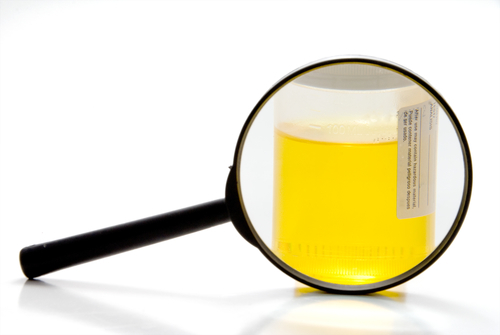 Firstly, a spot urine test is a great start (ask your Naturopath or Functional medicine doc). You could also do a serum blood test to look at your Vitamin D and Iron levels. There is no point going out and buying a bunch of supplements if your levels are already perfect. Following this, you could also look at getting a genetic test. Why? Well genes play a huge part in how your body synthesises, absorbs or processes nutrients. For example, someone may have the genes for haemochromatosis- leading to high iron in the body. The last thing this person should do is supplement with iron. In fact, they may even change the way they eat and not take vitamin C when eating red meat (as this assists iron absorption). Knowledge is power. I also have myself as an example. My 23andme genetic profile indicates a slow methylation cycle. This means I need to be very careful to avoid folic acid (though in all honesty we should all be careful with folic acid intake). Supplementing with a particular type of folate can help speed up my methylation cycle, but too much of this folate can lead to a range of side effects (which I found out the hard way) such as anxiety and panic attacks. A lot of people will be reading this thinking 'I feel fine, why waste my money on tests'. Fair enough, however I don't want to settle with being 'fine'. 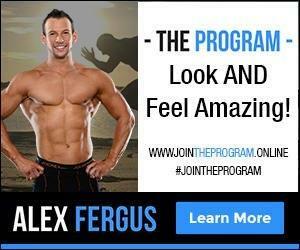 The purpose of this blog and my Program is to help people achieve optimal health and performance. To thrive, rather than simply getting by. With the tools, technology and knowledge available at our finger tips, why would you not find out how your body works and what you can do to improve it? Takeaway - Test don't guess. What works for someone may have negative effects for you. How Do I Avoid Paying For Expensive Pee? How do you know if what you're buying is being absorbed and not passed out as urine? This is a great question, as a recent study found that 79% of supplements included in the study sample did not contain the primary ingredient listed on the label! And to make things worse, many of the supplements contained other plant ingredients, some of which had allergy causing properties. So let's assume you've taken a urine test, done the genetic test, and you now know you need to start supplementing with magnesium. The magnesium category at iherb lists 281 unique products for magnesium. How do you know which one is the best? Like many things in life, quality comes with a price tag. Many supplement manufacturers include an assortment of fillers in their products. Why? It could be to fill the capsule up, but generally it is to act as a lubricant, helping supplement powders flow freely through the manufacturing equipment faster. Better flow equals better efficiencies, less jams and bigger profits. Magnesium stearate is the most common additive used for this purpose. Chances are, most of the supplements you have will have this in the ingredients list. Magnesium Stearate has been shown to slower nutrient absorption in the body (17). And a in vitro study found that magnesium stearate could potentially block nutrient absorption (18). I should point out that these are not solid claims, but are still something to be wary about when buying your supplements. For more information on the topic I recommend the article on Magnesium Stearate by Chris Kresser. If you have allergies, you may want to pay close attention to the nutrient label. Lets continue to focus on magnesium. There are a number of types of magnesium. Each compound has unique absorption and health properties. Do you know what type of magnesium you are taking? If you find out you're deficient in magnesium, how do you know what type is best? Magnesium Oxide for example has a poor absorption rate, magnesium citrate is absorbed well but can have laxative effects. You can read more about magnesium and which form I use in my article "The Benefits Of Magnesium And Why You Need To Supplement". Probiotics are another great example. There are many strands of probiotics, and every strand has unique benefits. See this article which explains different strands for different uses - What is the Best Type of Probiotic. If you're competitive athlete who is subject to drug tests, how do you know if the supplements you are taking are not on the banned supplement list? Thankfully there are third party verification standards in place. Supplement companies can meet these standard to assure customers that they won't run into problems if they are tested. For example, there is the 'NSF' certification, and Australia's 'Therapeutic Goods Administration' (TGA). So if a supplement manufacturer has these labels on the bottle, you know you are safe. Unfortunately it isn't a requirement for supplement manufacturers to meet these standards, so only a few companies are accredited. Not only that, but as was mentioned earlier, often supplements contain ingredients that aren't even listed on the label. Hammer Nutrition (a popular supplement brand) recently found themselves in court after their products were found to be contaminated with banned substances (19). If you'd like to know more about supplement manufacturing processes, I highly recommend listening to this interview: How To Know Supplement Ingredients. Based on all of this, I use and recommend Thorne Research for my clients and my own supplement needs. I am not sponsored by Thorne, I have just found their products to be of superior quality to many other companies. They only use the best form of ingredients, they don't use any harmful fillers, and their labs and manufacturing plants are certified by all the top testing agencies. If you want to know more about why I use Thorne, have a listen to this podcast - Behind the scenes of how a supplement is made. Note: If you're in New Zealand or Australia and you can't find Thorne Products at your local stores, buy online from Iherb. The DHL shipping option is generally around $5-10 and it takes less than a week to arrive. Use code BHS654 for $10 off your first order. Takeaway - Be careful what brand and type of supplement you buy. Generally a quality supplement will be more expensive. If unsure, go with Thorne Research. What Should I Supplement With? Now the fun part. What supplements should you take? The best place to answer this question is with my supplement guide, I have a 22 page ebook covering supplement protocols for everything from fat loss to muscle gain, to sleep and anxiety issues. But if you're just looking for a few basic supplements to address nutrient deficiency, heres what I recommend. You may have heard the saying 'you are what you eat' or even the more recent paleo backed 'you are what you eats eat' (recommending a beef from a cow that ate grass vs GMO grain as an example). But I like this saying - You are what you absorb. What use is eating nutrient dense food if you cannot digest and absorb it. If I was only allowed to take one supplement, it would be digestive enzymes (and in particular Thorne Bio-Gest). According to Jonathon Wright, MD (author of 'Why stomach acid is good for you') low stomach acid is a common issue in developed nations. After testing the stomach pH of thousands of patients in his clinic, he found that 90% of the patients had too little stomach acid. Unless you have significant digestive issues, you shouldn't use these with every meal for LONG durations. I recommend using them for 2-4 months to help kickstart your own stomach acid production, then use them whenever you have large meals or are having digestive issues. Also they are great for people who have heart burn issues. Heart burn is often a result of low stomach acid - see Chris Kressers series on curing heart burn here. Takeaway: Use Digestive Enzymes with meals to help maximise the nutrient absorption from the food you eat. Second on my list of supplements that everyone should consider taking is Vitamin D & K2 Drops. We saw earlier how a large percentage of american adults are deficient in Vitamin D. The same is true for the lesser known K2. These two vitamins work together in improving bone density, cardiovascular health and immune function. Vitamin K2 is found in dairy and meats from pastured animals (Grass contains Vitamin K1 which cows convert into K2, cows eating grains have very little K1 to convert into K2). You can also receive K2 by eating natto - fermented soybeans. A lot of people do not include these items in their diet (why it is important to eat grass fed, and grass finished meats and butter). Vitamin D, as you most likely know, can be synthesised in the skin when it comes in contact with sunlight. However, as numerous studies have shown, we don't do this enough. You can also find Vitamin D in some (but very few) food. The best food for Vitamin D is Cod Liver Oil. There is an upper limit to Vitamin D so don't go over board with this supplement. However vitamin K2 products from ill effects of too much vitamin D (hence why I recommend the D/K2 Combined drops). As I mentioned earlier, before downing bottles of pills you are best to test to see your current levels. However I personally take 5-10 drops each day of Thorne Vitamin D/K2 during winter, and a few drops over summer if I'm not getting outside. If you live in a sunny climate and get a lot of sun exposure, then you may not need vitamin D supplementation. I would recommend doing a blood test to check your levels. Takeaway: Unless you are consuming a lot of grassfed and grass finished butter, natto and cod liver oil AND you're frequently exposing large amounts of your body to the skin, then you should supplement with D/K2 drops. I'm not going to cover this in much detail as I already have a blog post on why you should supplement with magnesium in the article - Why You Should Supplement With Magnesium. In summary studies have shown that a lot of people are deficient in magnesium. This is concerning as magnesium has such a big impact on our health & bodily functions. The best source of magnesium in the diet is from nuts & seeds, but I do not recommend trying to reach adequate magnesium levels by eating nuts due to the their PUFA content. I recommend taking 400-600mg of magnesium a day, generally at night pre bed. I personally split my dosage between a transdermal form such as Mike Mahlers Recovery Oil and Thorne Magnesium capsules. Takeaway: Magnesium is vital to optimal health & wellbeing. Supplementation is effective, easy and inexpensive. Vitamin C is such as effective antioxidant that I had to include it in this list. It also acts as a precursor to glutathione - the bodies most potent antioxidant. Despite its popularity as a supplement, research shows that nearly a third of american adults are deficient in vitamin C levels (21). 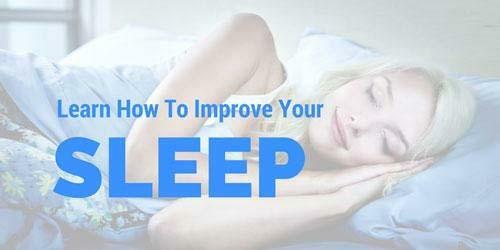 Similar to magnesium, it's such an effective, cheap and easy supplement with so many beneficial effects that you would be silly not to take it. People have even being using high dose vitamin C to cure them from all sorts of illnesses, include cancer. 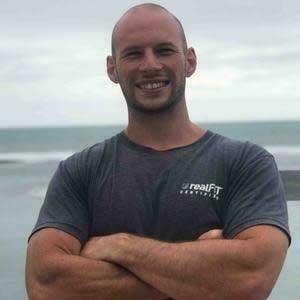 This one story looks at how a New Zealand man who was left for dead by doctors, cured himself with Vitamin C.
I take (and recommend) anything from 1g of Thorne Vitamin C to 5+ g of vitamin C per day depending on health status. Takeaway: It is cheap, effective, and has next to no side effectives. Vitamin C is a great supplement to have in the cupboard.. I have included probiotics in this list as I know a lot of people do not eat quality fermented foods on a regular basis (kombucha, sauerkraut, kimchi, natto, are all examples of fermented foods). If you have a daily serve of fermented foods then you probably do not need to supplement with probiotics. I also should point out that I recommend avoiding probiotic drinks such as Yakult. More and more studies are coming out showing how important gut health is in to our overall health. If you have ever taken a big course of antibiotics you could have issues with your gut. Today we clean everything, everything has to be sterile, washed & pasteurised. Sadly, this ultra cleanliness kills off a lot of beneficial bacteria. If you have some healthy gut bacteria present and your health & diet are sound then we're probably ok. Unfortunately though, a lot of people are overstressed (disrupting gut health), take antibiotics (which kill off bacteria), don't eat a gut supporting diet (how often do you consume bone broth?) and instead eat a diet that encourages harmful bacteria growth. For these reasons I recommend a probiotic supplement. If I'm travelling or not eating fermented foods I will take Thorne Floramend. I like this probiotic as it includes 3 strands of bacteria, is heat stable (so it doesn't require refrigeration - great when travelling) and it comes in an acid resistant capsule (so the bacteria aren't all killed off in the stomach). Takeaway: If your diet and gut health aren't solid, and you're not eating fermented foods on a regular basis, chances are you should be taking probiotics. Yes Creatine, the white powder that all those gym junkies use is in my recommended supplements list. I have researched and written extensively on the benefits of creatine monohydrate supplementation (You can read all these benefits in the article - 19 Reasons Why You Need To Supplement With Creatine). The list of benefits is ranges from sports performance, to improved cognitive function and decreased depression. But the most appealing aspect to creatine is it's lack of side effects and low cost. Given this, creatine is part of my recommended supplement stack. Takeaway: Creatine is one of the most researched supplements in the world for a reason... it's widely used, the benefits are huge, it's inexpensive and it's safe. What About MultiVitamins? Aren't They The Easiest Solution? More harm than good? Studies on people who take generic multivitamins lead to inclusive results - some studies showed they had little effect on health, others even showed negative impacts (though by such a little margin). Poor Ingredient Quality. Most multivitamins are rubbish. They use low quality ingredients, they have insignificant amounts of each vitamin, they use inferior versions of vitamins, they may include too much of a risky vitamin (such as vitamin a) and not enough of a much needed yet bulky ingredient (such as magnesium). A lot of unneeded ingredients. If you look at my basic supplement list above, you will notice that a lot of my recommendations are not found in multivitamins. The amount of magnesium and creatine we need is too large to fit in a one or two capsules, and vitamin D is fat soluble, so it's best absorbed with oil. Also, you requirements for vitamin D may vary throughout the year depending on sun exposure. Do I use a multivitamin? Occasionally yes and I even recommend them to new clients on The Program (you can see the Supplement Protocol they follow HERE). However the multivitamins I use are by Thorne Research as I know they only use the best form of each vitamin and have carefully designed their multivitamin range. Yes their products are a lot more expensive but when dealing with health I believe that a few extra dollars are justifiable. If you really want to take the lazy approach to supplements, I'd go with Thorne Basic Nutrients. Still Unsure If You Need Supplements? 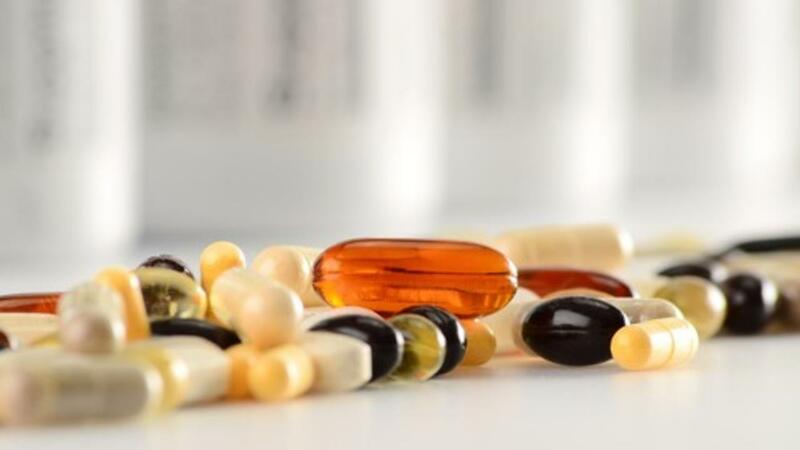 If after reading this guide on supplements you still are undecided whether you should be supplementing (and you don't want to do any urine, blood or genetic testing) then I have built a list of questions for you. If you can answer Yes to 80% of the below, then you probably don't need to take any supplements. If answering yes to most of these then no you probably don't need to supplement. Even if you did all of the above (and have been doing so since you were born), but learnt that a capsule of a specific nutrient may result in a performance enhancement, or address a deficiency that you still may have – wouldn’t you take it? I know I would? If you didn't pass this test, then I'm not suggesting you go out and buy $100's worth of supplements. But it may be worth while taking some basic supplements to begin with. Think of the expense as a health insurance policy. If you're unsure where to start, or you're looking for a 'done for you guide' then be sure to download my FREE optimal health supplement guide HERE. And if you're following a vegan or vegetarian diet, be sure to download my special edition supplement guide for you HERE. What are your thoughts on supplementation? Have your views on supplements changed after reading this? And do you think there is anyone alive that could answer yes to all of those questions above?! Finally, be sure to check out my supplement guide that thrivers on The Program follow. Download it HERE.